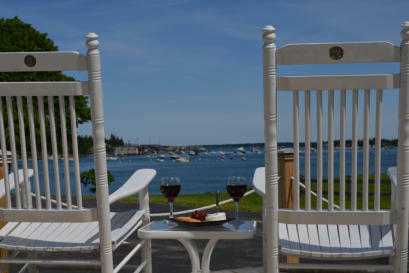 Newly renovated, Harbor Oasis is a rare find with in-town convenience yet a private tranquil setting directly on the ocean. Located down a quiet lane in picturesque Southwest Harbor - a classic Coastal Maine fishing & yacht building community on the 'Quietside' of Mount Desert Island. Just minutes to some of Acadia National Park's favored spots including Beech Mountain, Echo Lake, Flying Mountain overlooking Somes Sound, Wonderview & Ship Harbor Ocean Trails and the Bass Harbor Lighthouse. Easy walking everywhere in town and less than 5 minutes to the Island Explorer bus stop for free shuttle service all over MDI. 4 person maximum occupancy including adults, children & babies Non Smoking Only & No Pets Allowed Open floor plan w/Panoramic Harbor Views from Living Room, Dining Area and Kitchen 2 Queen Bedrooms Full Bath with Tub & Shower combo All rooms are 1st floor Large Deck w/Gas Grill and Fabulous Gazebo right on the Shore with 180 degree Harbor Views See “Detailed Property Information” for more info If Harbor Oasis piques your interest, please note that we book directly with our rental guests, so check our up-to-date availability and then e-mail or phone us (207-479-0494) to proceed with booking or to ask any questions about the house or area. Whether you are considering your first visit or are returning to this special place, here's a new video that will capture your heart. Payment Terms: 50% payable on contract acceptance (via check) 50% due 60 days prior to rental date plus a $250.00 refundable security deposit (via check) Rates do not include the 9% Maine State tax To Reserve Your Week, check our up-to-date availability and then e-mail or phone us (207-479-0494) to proceed with booking or to ask any questions about the house or area.